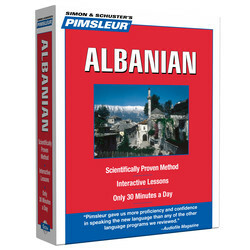 Discover how to learn Albanian with the Pimsleur Method. 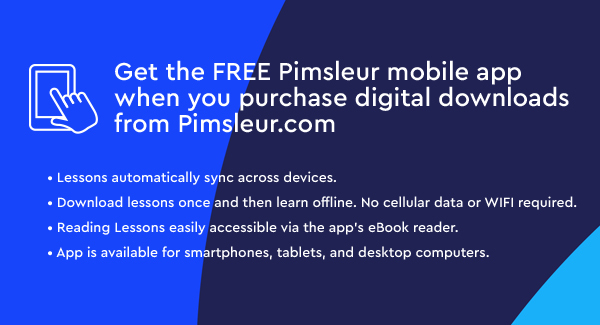 Start Speaking Albanian using the Pimsleur App! Albanian is spoken by about 6 million people, mainly in Albania and Kosovo. There are 2 principal dialects: Gheg, the northern dialect, and Tosk, the southern dialect and official language of the Republic of Albania. Pimsleur's Albanian teaches the Tosk dialect. 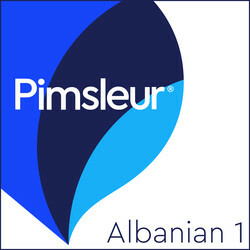 Learn Albanian today with Pimsleur. Ten 30-minute lessons and reading instruction as MP3 download (5 hrs). Each lesson has an introductory conversation, new vocabulary and structures. This course provides you with a solid foundation upon which to expand your language skills. Ten 30-minute lessons and reading instruction on 5 CDs (5 hrs). Each lesson has an introductory conversation, new vocabulary and structures. This course provides you with a solid foundation upon which to expand your language skills.